The first Amlogic S812 Android TV box I had seen was Xtreamer Wonder which should start shipping for 99 Euros ($140) by the end of the month, but they’ll have some competition as Eny Technology will soon manufacture M8S and M8C Android media players, also based on the same quad core Cortex A9 processor, with 4K UHD video output and HEVC/H.265 hardware video decoding. 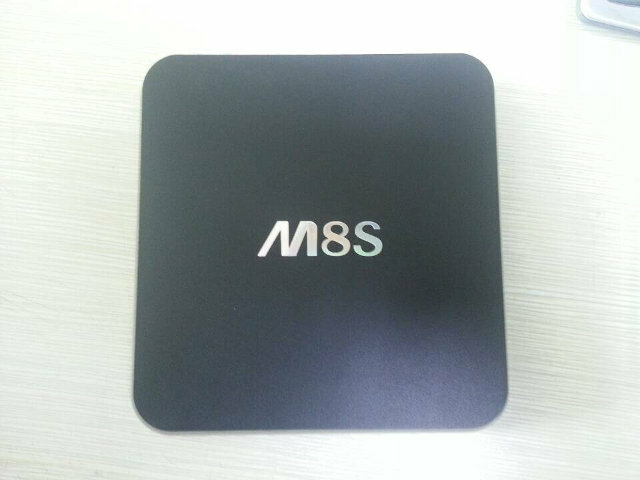 These Android STBs will run Android 4.4, and come pre-loaded with XBMC/Kodi 14.x, hopefully with H.265 support. Amlogic S812 is supposed to support Gigabit Ethernet, but Amlogic must have problems with their GMAC IP or drivers,m because none of the products based on S805 / S812 feature a Gigabit Ethernet port. Eny Technology informed me they’ll manufacture a small batch at the end of the month, so hopefully they’ll be up for sale at the retail level in November or December. 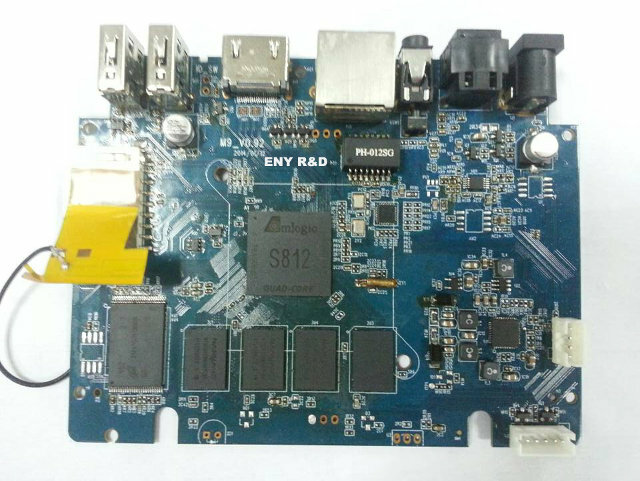 The company was not ready to release pricing information publicly yet, but the Chinese SoC little fairy told me that Amlogic S805 costs about $5, S802 about $10.5, and S812 about $11.5, with further discounts available in large quantities, so products based on Amlogic S812 based products may not be that much more expensive than Amlogic S802 based products using similar components. Superb new, strongly that the test is coming ! I hope that will motivate them to do a Linux (Buildroot) support. Only 802 and 802-H are supported. From the photo, the reference is a M9, it does not appear in the buildroot. I got the answer that they will not support for the S805, we’ll see the S812. I will send an email to see if the next version of “buildroot” will support the S812. Latest buildroot already supports S812. S812 chip will represent itself as Meson8, and their reference board supported in buildroot is n200. On HEVC support I’m already working, PR on xbmc github is open, still need some cleaning. I hope this information is true, because this is great news ! The uboot should be this : m8m2_n200_v1 ? And gst-plugins-0.11.0-ms should decode the H.265 ? Can’t tell you that because I don’t have any S812 board (will have soon), but yes, m8m2 stands for S812 chips. I don’t exactly like the idea of purchasing a box where there would be no after sales support. If encountering a bubby ROM it is comforting to know the manufacturer is on it. “M8S and M8C have the same technical specifications except that the former comes with 2GB RAM, and the latter with 1GB RAM” is NOT CORRECT. Do you have a picture of M8C? Maybe it’s a different model.